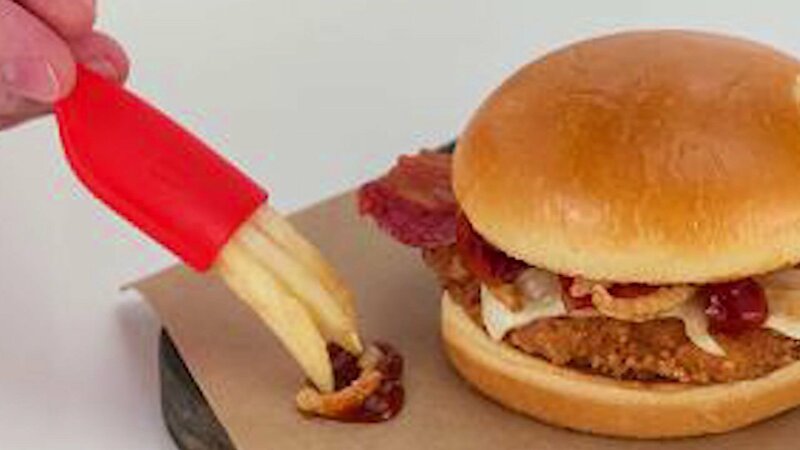 McDonald's has unveiled a new quasi-utensil, which even they say is "unnecessarily superfluous," called the frork. Customers use French fries to make prongs on the frork, which the Oak Brook-based company says can be used to pick up all the droppings that fall when eating their new sandwiches. The frork will come with the new sandwiches, which will debut in some fast food chain restaurants on Friday. The new Signature Crafted Sandwiches are the Pico Guacamole, Sweet BBQ Bacon and Maple Bacon Dijon. To announce the Frork, McDonald's released turned to legendary pitchman Anthony Sullivan.